Great views of sea and part of town from balcony and kitchen (on nice terrace below apartment). 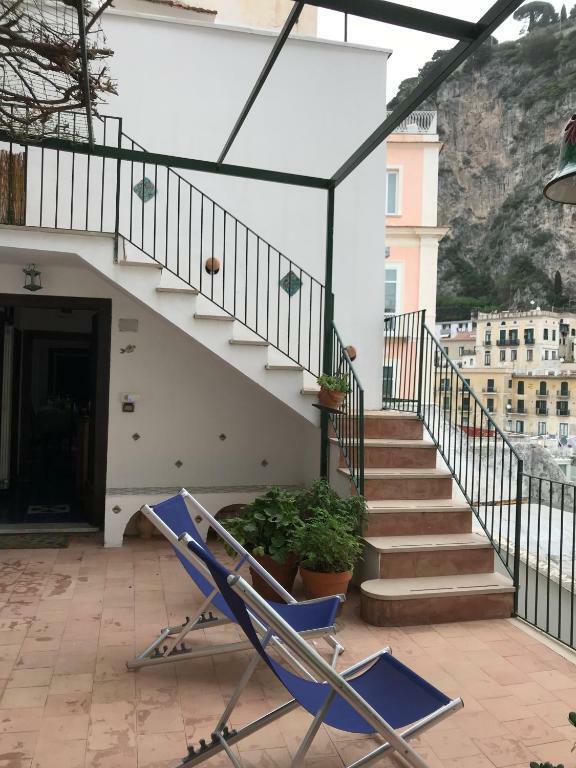 Excellent quiet location in Atrani, lots of character, only 5 minutes walk down to center of Atrani, another 15 to center of Amalfi. The view is spectacular and the rooms are spacious with beautiful decor and local flair. Our host was so helpful with everything from directions, answering questions, arranging transportation and local recommendations for where to eat and things to do. It all made our stay wonderful and we would return in a heartbeat. We had a great time at Alessandro's apartment. 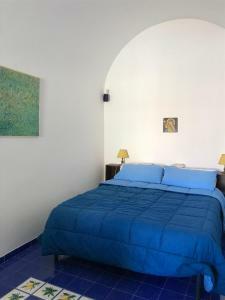 It is conveniently located at the entrance of Atrani and in a short walking distance from Amalfi (10 mins). The apartment is big and can comfortably accommodate 4 people. It also has everything you will need for a stay on the coast. Our favorite part was the terrace as it has a beautiful view towards the town and the beach. The communication with Alessandro was very smooth. He sent to us all important information and directions prior to the trip so we had no troubles in checking in and out. Would definitely recommend the place. Comfortable apartment with balcony (sea view). Super comfy bed. Convenient kitchenette, laundry room sharing with another apartment. Location is so good, Atrani is very cute and it was nice to be back in a quiet village after a day of sightseeing. Felt authentic. Easy to visit other villages (bus, foot and ferry). Amazing host Alessandro was very helpful giving us tips and advices, we have not met but he was always available thank you !! 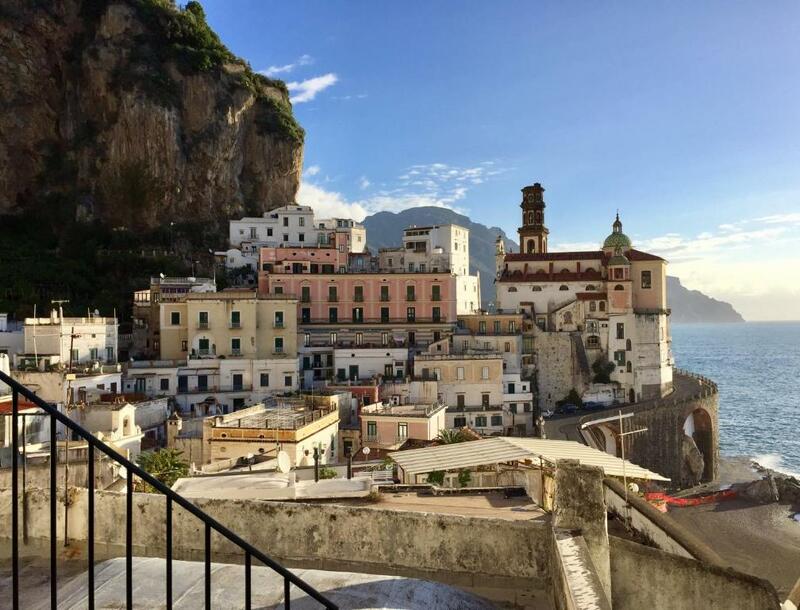 Amazing views of Atrani. Felt like we were part of the real Amalfi coast. And Amalfi town was a short easy walk round the headland when we wanted to go there. The flat was in a beautiful location, lovley big space which was nice and clean. The host was very welcoming and helpful. Oh wow, what a treat! We could have stayed for so much longer! Beautiful flat with lots of space inside and outside, view of the sea and the best swimming beach down the steps. Nice and peaceful, away from Amalfi crowds but only 10 min walk there when you want to. Very efficient host easily contactable and helpful with directions. Absolute perfection for a relaxing holiday, thank you! Character of property and the views and it was like 2 separate houses for the teenagers. 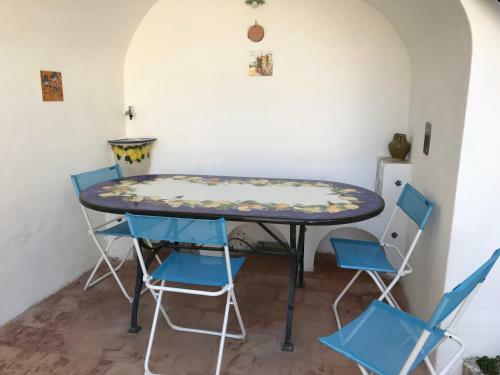 Lock in a great price for La Casa del Giudice – rated 9.4 by recent guests! One of our top picks in Atrani.Offering a terrace and views of the sea, La Casa del Giudice is set in Atrani. WiFi is free throughout. The property features both rooms and apartments. The apartments come with a seating area, flat-screen TV and equipped kitchen. A balcony or patio are featured in certain rooms. Extras include free toiletries and a hairdryer. Some units have a terrace and 2 bathrooms. Amalfi is just 0.6 mi from La Casa del Giudice, while Sorrento is 12 mi away. The nearest airport is Naples International Airport, 24 mi from the property. This is our guests' favorite part of Atrani, according to independent reviews. 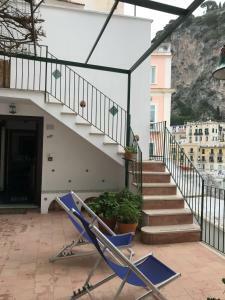 This property also has one of the top-rated locations in Atrani! Guests are happier about it compared to other properties in the area. 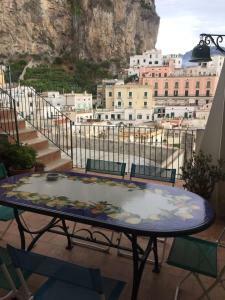 뀐 Located in the top-rated area in Atrani, this property has an excellent location score of 9.7! 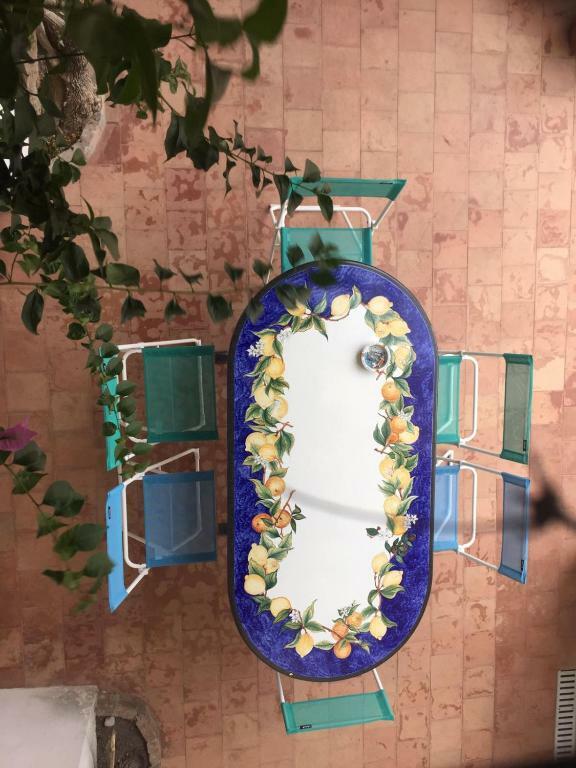 When would you like to stay at La Casa del Giudice? This sea-view apartment has access to a shared terrace and shared kitchen. This sea-view room has a private entrance, seating/dining area and aaccess to a shared kitchen. Includes access to a shared terrace. Featuring a private terrace with sea views and set on 2 levels, this apartment comes with a fully equipped kitchen and 2 bathrooms. Soggiornare in un antico edificio medievale, respirare l'atmosfera della costiera amalfitana, ammirare la vista sul borgo e sul mare dalla terrazza. Mi piace correre e camminare nella straordinaria natura della costiera amalfitana. La costiera è ricca di luoghi da visitare, storici, culturali e naturali. House Rules La Casa del Giudice takes special requests – add in the next step! Please inform La Casa del Giudice of your expected arrival time in advance. You can use the Special Requests box when booking, or contact the property directly using the contact details in your confirmation. Bit hard to find the nice apartment among the labyrinth- like alleys on slope of cliff. The owner did provide instructions but a perhaps a very detailed map would be helpful. Wish there was more shopping, piazza's around. Very clean,views amazing, host awesome!! Shower a little small for me also note you will have to lug your suitcases up dozens of steps. For me it was ok but some of you may find this off putting but I saw other apartments much higher up!! Only met the owner via text messages but Alessandro came across extremely friendly and helpful. The property we stayed in was the two bedroom apartment with bathroom and private patio which has a beautiful view of the church (at the time of writing there is scaffolding covering the church but not the dome) with the sea and mountains in the background. 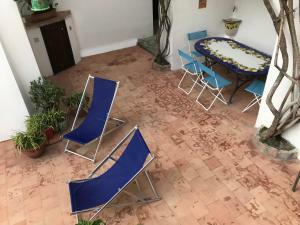 The patio has steps leading down to the shared terrace area and shared kitchen. We hardly used the kitchen though small was extremely clean with lots of utensils so preparing a meal would not be difficult. 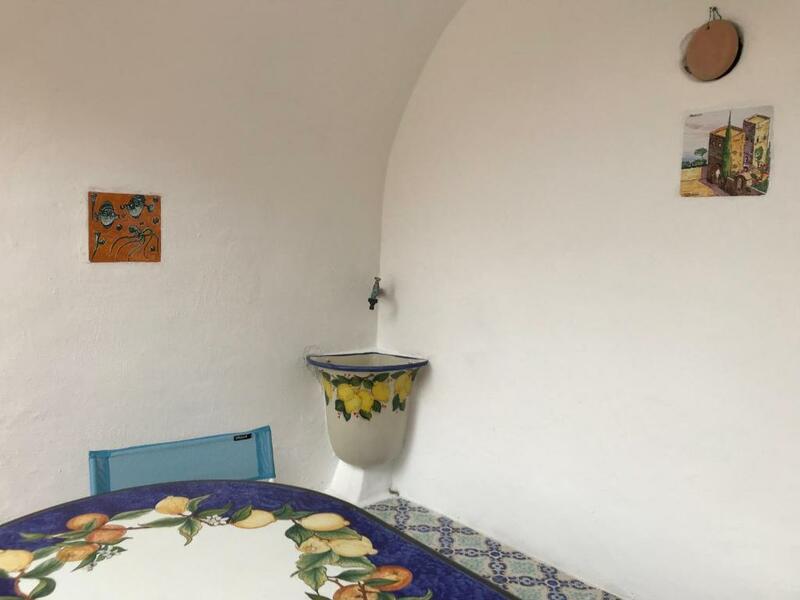 There is also an electric hot plate in the larger bedroom with pots and pans and a small fridge.The rooms are no frills but clean and a little dated which brings a certain Italian rusticity to them. 13/15mins walk ( little longer with tiny ones) to Amalfi centre through the alleyways of Atrani. Nice walk from Revello to Atrani (mostly down hill) with lovely veiws of the sea. Very friendly folk here. Decent value for money. Apart from being rather hot with not enough fans for all the bedrooms we slept well and would return to this property. It would have been nice to have the option of a welcome package ie tea, coffee, sugar, milk, bread. Beds were a little firm for our liking but most beds in Europe seem to be firm. Beautiful place with excellent views. Ample room for all 7 of us to sleep. Living room with couches and large dining room table was also perfect for lounging and enjoying time together as a family. Walking to Amalfi was easy and made for a nice day out. While Amalfi has more shops and restaurants, Atrani was much more quiet and less populated with tourists. Cooking in the kitchen was also a fantastic experience. Depends on the age of the guest, the amount of stairs to get to the flat might be a problem Apart from that comment nothing else to say! The terrace view is amazing!. 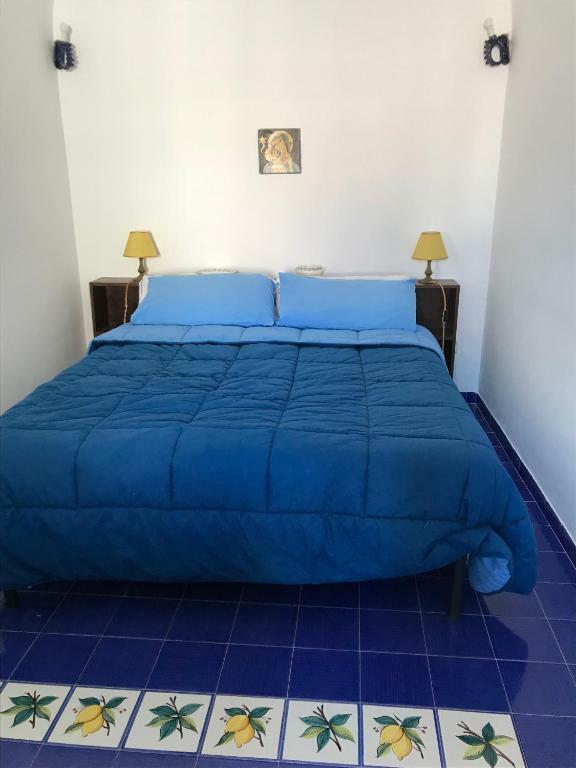 The flat is a typical house from the coast but confortable and full of ceramic pictures and ceramic floor. Also It has a small kitchen but fully equipped. Everything cleaned and less than 5 minutes from the coast of Atrani and 10 by foot to Amalfi The property manager is so kind!. Lovely stay in atrani. This room was so perfect, there is a stunning view from the balcony and the terrace below I loved waking up to it every morning. The room wasn't modern but had such a lovely Italian charm! There was no need for aircon as the room is set into the rocks. There are a lot of steps but you are so close to everything- the beach restaurants etc. Also having amalfi just around the corner was excellent, it was only a 8-10 min walk and had a lot more restaurants, bars and shops. Our host was fab helping us before and throughout the stay. If you are flying in from Naples I would definitely recommend taking the boat rather than busses or taxis and then busses take a long time and taxis are so expensive.